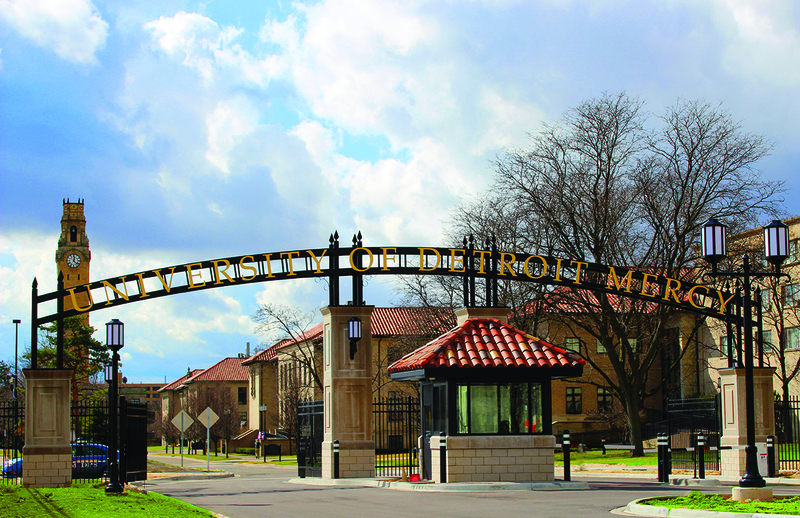 University of Detroit Mercy’s Office of Corporate and Foundation Relations reports recent grants and corporate gifts totaling $185,600. These grants and gifts will help support University of Detroit Mercy students, programs and community service through a number of initiatives. $80,000 from the Sutaruk Foundation to fund the Alex Sutaruk Scholarship program for Engineering students, honoring the legacy of Alex Sutaruk ’51. In 2017, 14 Engineering students received Sutaruk Scholarships; more than 120 students to date have received this scholarship. $36,000 from the DeWitt C. Holbrook Memorial Fund to the School of Law to fund a lecture series on prison reform and offer free legal training and educational workshops to Detroit Mercy Law students and alumni. $19,600 from the Ford Motor Company Fund to provide support for outreach projects as planned by students in the Ford Community Corps, which operates under Detroit Mercy’s Institute for Leadership & Service. $15,000 from the Ford Motor Company Fund to support two student teams and four scholarships to participate in the Ford Blue Oval Vehicle Team Challenge and Scholarship. $10,000 from the Delta Dental Foundation to Detroit Mercy Dental’s Mobile Clinic’s Titans for Teeth program, which provides oral health services to children and adults in low-income and underserved areas in Wayne, Oakland and Macomb counties. $10,000 from American House Foundation to Detroit Mercy Dental to provide dental services to uninsured seniors. $5,000 from the Oral Health Foundation of the Pierre Fauchard Academy to provide dental services to uninsured children and adults provided by Detroit Mercy Dental’s Mobile Clinic. $5,000 from The Campus Kitchens Project to expand its partnership with AARP’s Senior Beyond the Meal Program, which delivers food to senior citizens in northwest Detroit. $4,000 from the CVS Health Foundation for scholarships to students in the Family Nurse Practitioner Program. $1,000 from Ford Motor Company Fund to purchase books for Detroit Mercy’s Rx for Reading project.